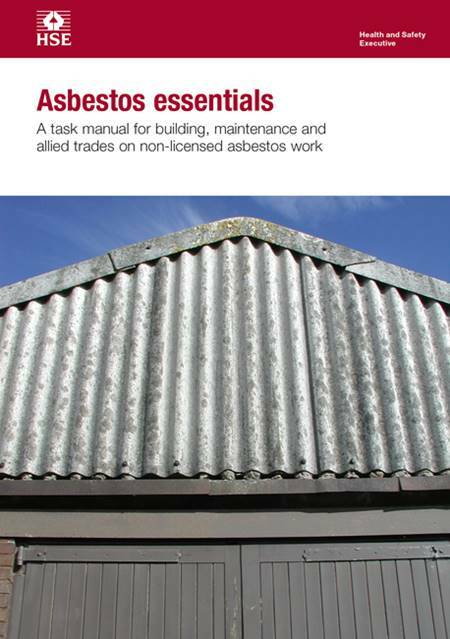 Designed to be durable, practical and small enough to fit in your toolbox, Asbestos essentials uses a series of task sheets, with over 100 full colour photos and illustrations, to describe 'good practice' for non-licensed tasks and covers the action needed to reduce exposure to an adequate level. It is aimed at all workers who may come into contact with asbestos, including electricians, builders, plumbers, carpenters etc. It will be useful to employees, the self-employed and managers. Although the general content/guidance remains the same, this third edition has been updated in line with changes to the Asbestos Regulations and to better reflect asbestos guidance on HSE's website and the Asbestos Approved Code of Practice, L143. Download the correction slip (PDF - 67Kb), produced Feb 2018.